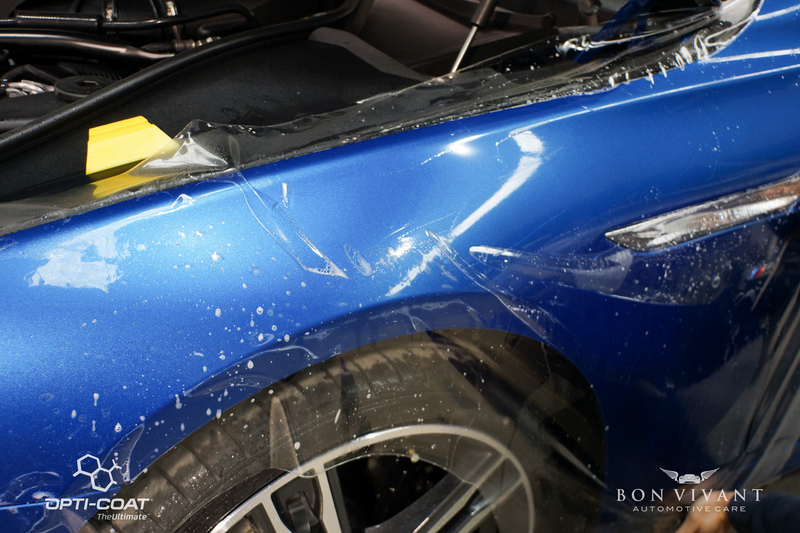 One of only 4 Australian delivered Limited Edition 650i M Sport Gran Coupe came to our workshop for an extensive list of works to protect it for meticulous and caring owner. 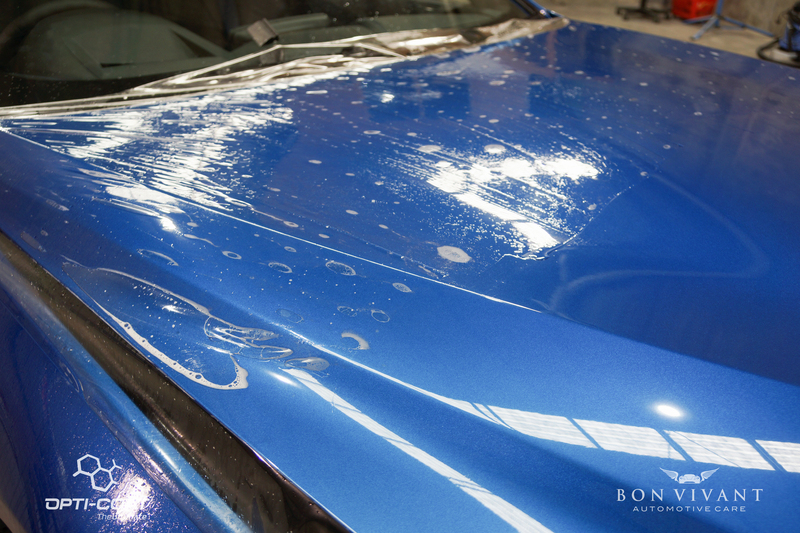 We received it directly from the dealership unwashed as instructed to allow us to prepare it thoroughly without the hindrance of fighting waxes and silicone glazes. 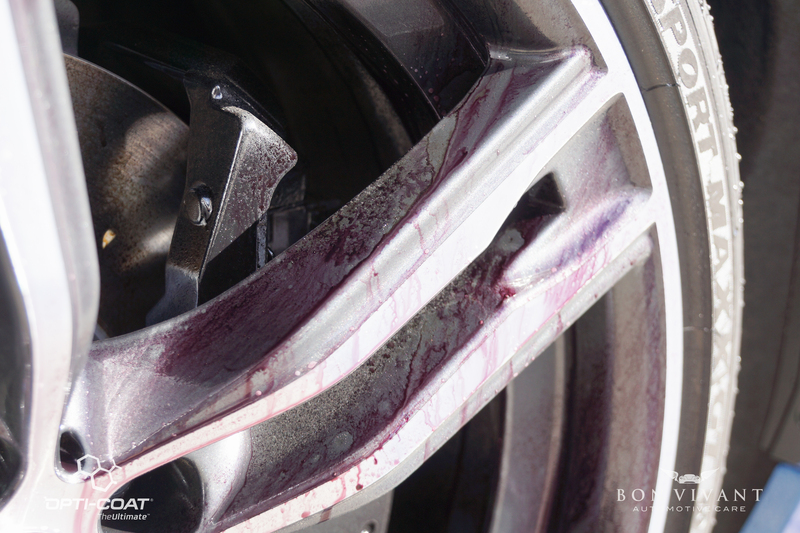 The entire bodywork was corrected to a high degree after an intensive wash twice over and decontamination stripping it of any ferrous and organic contamination. 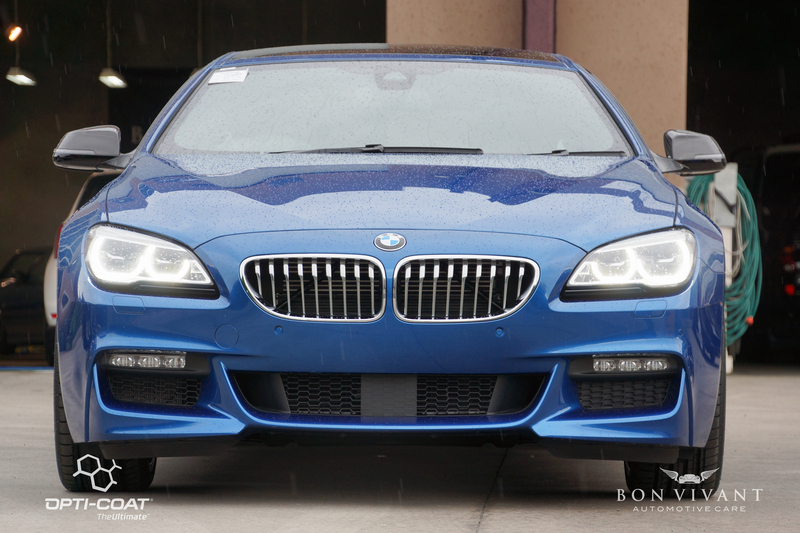 This laid the foundation for a full front end wrap in clear bra which included the entire bonnet, guards, bumper, side mirrors and headlight. Once settled we coated over the top with Opti-Coat Pro+ ceramic coating for extra gloss and protection against chemical stains such as animal excrement, pollen spores, sap and iron dust. 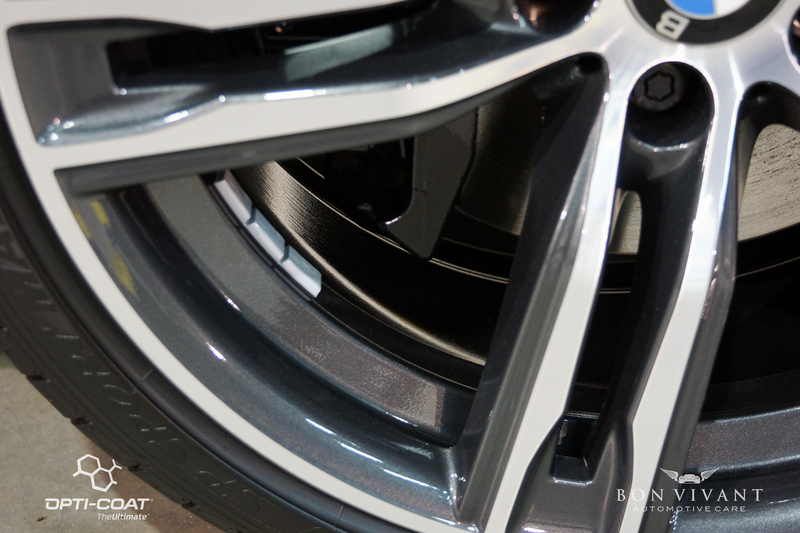 The wheels were removed and also coated entirely as with the painted black calipers to fight against brake dust. Windows were completely tinted with Johnson Window Films nano ceramic InsulatIR for uncompromised heat, infra-red and UV rejection. The leather interior and fabric was also treated with a flexible coating system to prevent the penetration of liquids and oils for easier cleaning if an accidental spill happens. Once finished, it returned to the dealership for handover to our client whilst we await his next vehicle to arrive.